Mareva is a family owned and operated full service design consulting firm serving Sacramento and the surrounding areas. Irene and her team specialize in middle of the market original remodels ranging from $100 - $300,000 working on kitchen, bathroom and living space additions, cement work, patios and outdoor kitchens. With over 18 years of experience, we strive to always accomplish the vision of the customer by consulting and offering construction trade secrets- It’s your home to live in, it should look the way you want it to! We are a family owned partnership of contractors who also provide design and consultation to help you realize your dream. 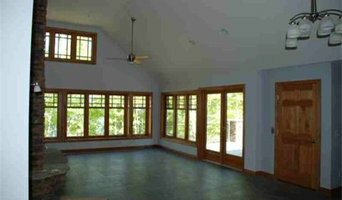 We specialize in building your custom dream home. We speak REAL ESTATE, INSURANCE, AND LEGAL. We are familiar working directly with your real estate professional, or can provide you with one. We also are familiar with insurance processes should you be dealing with a rebuild or insurance loss. We welcome your calls, your questions and your ideas! Viramonte's Construction provides many different services regarding general construction work. 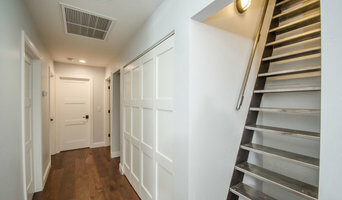 We have great experience in finish carpentry and we pay close attention to detail throughout every aspect of work we do. 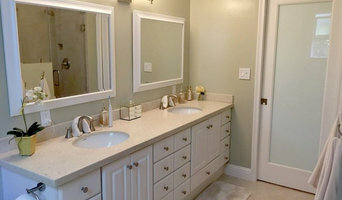 Our projects range from trim carpentry, cabinet installs, all the way up to complete large scale remodels. Please contact us regarding your project and we will be happy to assist. Serving the Lodi and surrounding areas. If you are looking for a "General Contractor" in Nevada County” and looking for residential or commercial general contractors, we can help! Thank you for visiting Jim Romero Construction in Grass Valley, California. 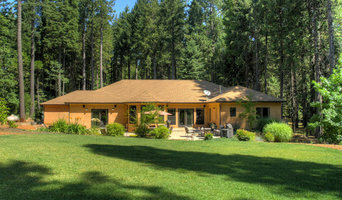 We are a full service residential & commercial general contractor located in Grass Valley, CA. With over thirty years of serving Nevada County, we have built a dedicated team ofprofessionals specializing in the following construction services: permitting andplanning, construction grading, custom home building, new construction, plumbing, home renovation, room additions, interior & exterior house painting, construction management, framing and carpentry, cabinets & countertops, drywall repair & installation, kitchen & bathroom remodeling commercial facilities maintenance & and considerably more. Garen Lee McCune is the president and owner of GLM Custom Homes, Inc. in Granite Bay, CA, a residential community east of Sacramento. For over thirty years GLM has specialized in building custom homes and offering architectural drafting and design services to clients. From the smallest remodel to the largest custom home, McCune is a hands-on involved general contractor. He is the one you will work with throughout all stages of the project! Although McCune enjoys the low profile of working out of his home and accruing business mainly by referral, he has earned a solid reputation as a successful and reputable builder. Showtime Roofing & Remodeling is committed to our roofing customers and our goal is to meet or exceed your expectations by providing you with consistent high standards of workmanship and quality roofing products that will enhance the beauty of your home and protect your investment.